The exquisite roving style of this wool and acrylic blend is perfect for artistic and sophisticated knits. 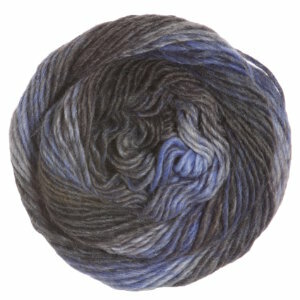 A silky soft worsted weight yarn, Classic Shades is machine washable and comes in a variety of self-striping colorways. Universal Yarns Uptown Worsted Yarn is a similar yarn: acrylic, machine wash, worsted (19-20 sts/4 in), 4-5 sts / inch, 100 gram, and on size 7-9 US needles. You may also like Plymouth Yarn Encore Worsted Yarn, which is another similar yarn: acrylic, machine wash, worsted (19-20 sts/4 in), 100 gram. What about yarn that have the same look and feel? Find more yarn with a smooth / uniform texture, splits, and is machine dyed. You may enjoy taking a look at the Universal Yarn Classic Shades Bargello Comfort Shawl, Universal Yarn Classic Shades Horizon Shawl, Universal Classic Shades Seashells Wrap, and Universal Yarn Classic Shades Tree Hugger Vest kits all using Universal Yarns Classic Shades Yarn. 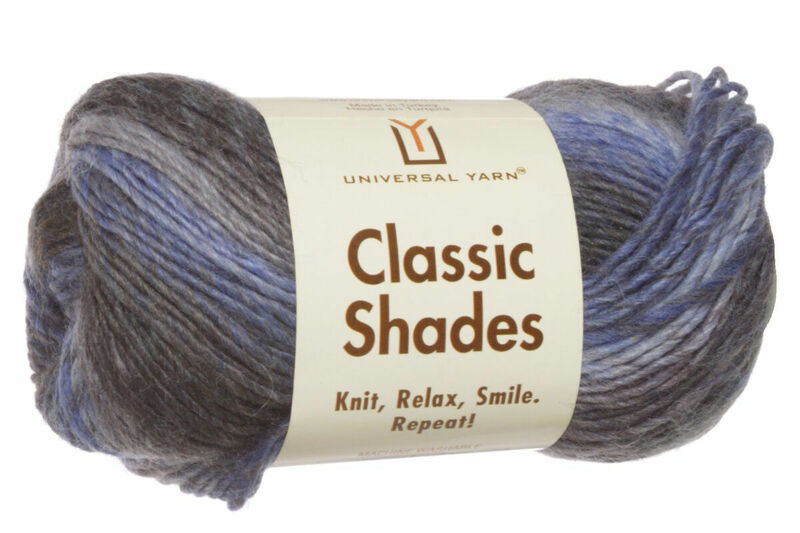 Hopefully our suggested project ideas for Universal Yarns Classic Shades Yarn can help you come up with your next exciting new project idea!